I'm a computer scientist, engineer, PhD candidate, and husband. (I guess, the latter one is the hardest job. ;-P) My research deals with social learning processes within Web 3.0 learning and teaching environments. Working in different projects and as teaching assistant. Project "TrainOXY": Developing an expert system for an optical, mobile sensor system for measuring different parameters like pulse rate and oxygen saturation in muscles during sports. Project "Junior Study Program": Developing and Managing a study preparation program for German high school pupils. Project management and coordination of a team with more than 10 members. Public relations. Organizing up to 250 junior students each semester. Project "Computer Engineering Online": Joint venture of 5 North German universities with the objective to develop and establish an online study program for computer engineering. Design and Development of a Web 3.0 learning platform. Teaching Assistant for lectures "Software Engineering" and "Object-Oriented Software Engineering". Supervising several Bachelor/Master theses, and student assistants. Administration of a cloud-based infrastracture, web servers, network storages, backup solutions and many more. Development of an agent for automatic, load-based distribution of virtual machines within a cloud environment with the aim to optimize energy efficiency. Administration of a high performance cluster. Further development of my internship work (software agent for optimizing energy efficiency of data centers). Developing and installing the hardware and software infrastructure of an open-air test lab for a vehicular communication network. Care of physically and mentally handicapped persons. Since 2012, I'm intensively involved in several e-learning topics. Most of all, I'm interested in the realization of intelligent communication channels between users for different use cases (learning, tutoring, assessment). The reason is, that "We systematically overestimate the value of access to information and underestimate the value of access to each other." (Clay Shirky). For this, I'm dealing with A. I. technologies like semantic search engines, topic modelling, and self-learning systems in order to achieve a user-centered, adaptive approach for connecting people within learning networks. Moreover, as a computer scientist and technology-addicted person, I'm inspired by every idea of supporting human beings in their daily work and life using hardware and software. As a huge fan of science fiction books and films, I'm familiar with all imaginable worst-case scenarios (Skynet, Matrix, The Circle, Altered Carbon, Daemon series, Black Mirror, 1984, etc. ), but despite of this I strongly believe in a positive, technolgy-enhanced future. Especially, I'm fascinated by autonomous driving, space travel, digital assistants, wearables, and home automation. Apart of that, I love doing sports in my spare time, in particular body building, soccer, and canoeing. And I like to travel around the world, to see new places, people and nature. Waßmann, I., Müller, M., Tavangarian, D.: J-Quizmaker - Behavioristischer Ansatz zur Aufbereitung adaptiver Lehrvideos. eleed, Iss. 12, DOI: urn:nbn:de:0009-5-43443, 2016. Waßmann, I., Versick, D., Thomanek, A., Tavangarian, D.: Durch das Leben lernen - Wiki-Learnia für ein lebensbegleitendes Lernen. eleed, Iss. 10, DOI: urn:nbn:de:0009-5-40390, 2014. Waßmann, I., Schönfeldt, C., Tavangarian, D.: Wiki-Learnia: Social E-Learning in a Web 3.0 Environment. WJEIS - Journal of Educational and Instructional Studies in the World, 4(1):21-27, ISSN: 2146-7463, 2014. Versick, D., Waßmann, I., Tavangarian, D.: Power Consumption Estimation of CPU and Peripheral Components in Virtual Machines. ACM SIGAPP Applied Computing Review, Vol. 13, No. 3., 2013. Waßmann, I., Tavangarian, D.: "Computer Engineering Online" using the novel eLearning 3.0 platform Wiki-Learnia. International Journal of Advanced Corporate Learning (iJAC), Vol. 6, No. 1, ISSN: 1867-5565, 2013. Waßmann, I., Soni, N.: PyQuizmaker - A Web App for Creating Behavioristic, Video-Based Learning Adventures. 10th annual International Conference on Education and New Learning Technologies (EDULEARN) Proceedings, 1429-1437, Member International Scientific Advisory Board, Palma de Mallorca (Spain), 2018. Waßmann, I.: Dharma - Dynamic, Heuristic & Adaptive Peer Recommendation in Social Learning Environments. International Technology, Education and Development (INTED) Conference Proceedings, 3515-3525, Member International Scientific Advisory Board, Valencia (Spain), 2018. 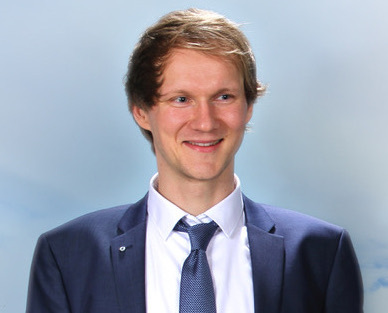 Waßmann, I., Sherif, E.: Connectivist, Context-Aware Communication Channels - Peer Finding Algorithm for Distributed Learning Networks. 4th International Conference on Learning and Collaboration Technologies as part of the 19th International Conference on Human-Computer Interaction (HCI International), Vancouver (Canada), 2017. Waßmann, I., Rikert, C., Martens, A.: Empirical study and perspective of learning networks in digital age. 9th annual International Conference on Education and New Learning Technologies (EDULEARN) Proceedings, Member International Scientific Advisory Board, Barcelona (Spain), 2017. Waßmann, I., Shaaban, R.: WebSEMINAR - A tool for interactive, semantically processed online live-lectures. 9th International Conference of Education, Research and Innovation (iCERi) Proceedings, Session Chair "E-Tutoring & E-Mentoring", Sevilla (Spain), 2016. Waßmann, I., Nicolay, R., Martens, M.: Connectivist Communication Networks. 13th International Conference on Cognition and Exploratory Learning in Digital Age (CELDA) Proceedings, 279-282, ISBN: 978-989-8533-55-5, Mannheim (Germany), 2016. Waßmann, I., D. Tavangarian, P. Forbrig: Context-Aware Communication Channels in E-Learning. International Technology, Education and Development (INTED) Conference Proceedings, 4099-4109, Valencia (Spain), 2016. Waßmann, I., Müller, M., Tavangarian, D.: Adaptive Instructional Videos. Autonomous Systems 2015 - Proceedings of the 8th GI Conference, 10(842):18-29, ISSN: 0178-9627, ISBN: 978-3-18-384210-0, Cala Millor (Spain), 2015. Waßmann, I., Müller, M., Tavangarian, D.: Adaptive Lehrvideos. DeLFI 2015 - 13. E-Learning Fachtagung Informatik, Lecture Notes in Informatics (LNI) - Proceedings, (P-247):131-144, Best Paper Award Nominee, ISSN: 1617-5468, ISBN: 978-3-88579-641-1, Munich (Germany), 2015. Waßmann, I., Tavangarian, D.: Wiki-Learnia - Combining Educational Environments. Key Methodology to Successful Competence Based Learning - KEYS Conference Proceedings, 63-67, ISBN: 978-954-91737-7-2, Istanbul (Turkey), 2014. Tavangarian, D., Waßmann, I.: Studying without Borders. Proceedings of the 19th International Conference on Transformative Science and Engineering, Business and Social Innovation, SDPS 2014 World Conference, 57-65, ISSN 1090-9389, Kuching (Malaysia), 2014. Waßmann, I., Versick, D., Tavangarian, D.: Energy Consumption Estimation of Virtual Machines. Proceedings of the 28th Annual ACM Symposium on Applied Computing, Best Paper Award "Software Development", Coimbra (Portugal) 2013. Waßmann, I., Tavangarian, D.: Computer Engineering Online - Best Practice in Extra-Occupational Studying and Lifelong Learning. Interactive Mobile and Computer Aided Learning (IMCL) Conference, 187-191, DOI: 10.1109/IMCL.2012.6396472, ISBN:978-1-4673-4924-6, Amman (Jordan), 2012. Waßmann, I.: Member Program Committee Human-Computer Interaction (INTERACT 2017), 16th IFIP TC 13 International Conference, Mumbai (India), 2017. Waßmann, I.: Web 3.0 Learning Hub. Poster Presentation at Learning Analytics Summer Institute (LASI), Berlin (Germany), 2017. Tavangarian, D., Waßmann, I.: Ubiquitous communication channels and e-learning. 9th GI Conference on Autonomous Systems (AutSys), Invited Talk and Extended Abstract (published in Fortschritt-Berichte VDI Nr. 848, VDI-Verlag Düsseldorf, ISBN 978-3-18-3848102), Cala Millor (Spain), 2016. Tavangarian, D., Waßmann, I.: With a new social E-Learning and E-Teaching Model against Knowledge Poverty. 4th International Conference on New Trends in Education and Their Implications, Extended Abstract and Talk, Antalya (Turkey), 2013. Waßmann, I.: Wiki-Learnia & Technische Informatik Online. Invited Talk at Closed Meeting about Current E-Learning Topics at Chair of Computer Architecture in Rostock (Germany), 09. August 2013. PhD Course "Software Engineering Models and Modeling", 2 Weeks, University of Rostock, 2017. PhD Course "Math and Computing Foundations of Software Engineering", 2 Weeks, 3 ECTS, South Ural State University, Tscheljabinsk (Russia), 2017. Conference "Bildung 4.0", Bitkom, Berlin (Germany), 2017. PhD Course "Problem-based Case Studies and Learning in Software Engineering", 2 Weeks, 5 ECTS, Best Poster Award, Aalborg University, Kopenhagen (Denmark), 2016. Conference "GML2 (Grundfragen Multimedialen Lehrens und Lernens) 2013 - Renaissance des E-Learning? ", Berlin (Germany), 2013. Workshop "Digitale Leere oder E-Learning 3.0? Impulse für die Informationskompetenzvermittlung", Library University of Rostock, 2013. Workshop "Introduction to OWL-Ontologies and Protégé", Systems Biology and Bioinformatics, University of Rostock, 2013. Workshop about Current E-Learning Topics at Chair for Complex Multimedia Application Architectures in Potsdam (Germany), 20. Juli 2012.